Today I was at the Museum of the University of St Andrews, to look at the exhibition of medieval university maces. 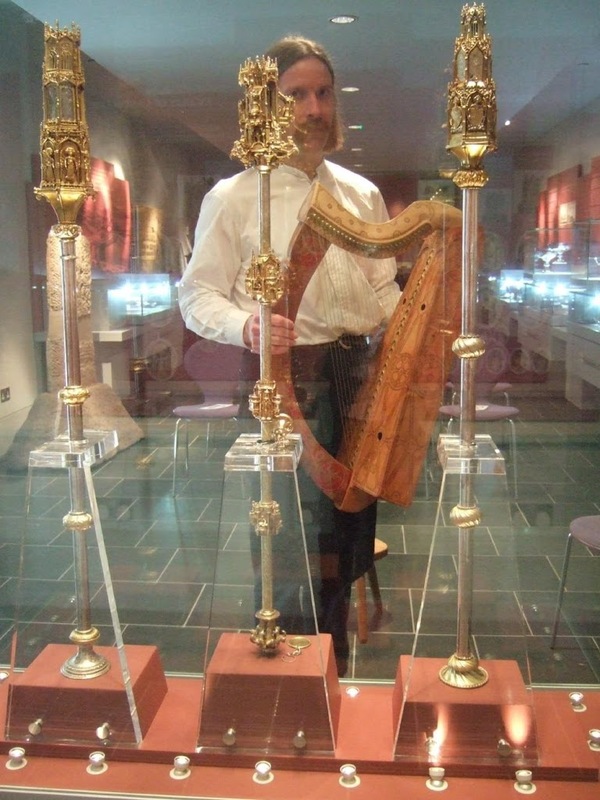 The three 15th century gold and silver maces that belong to the University of St Andrews have long been favourites of mine, and I have performed in front of them at the museum. So I was delighted when the museum organised an exhibition of other medieval maces from universities across Europe, and I was honoured when they invited me to do a concert as part of the exhibition. The exhibition is in the biggest room in the museum, and has three large standing glass cases, each containing three maces. There are the three St Andrews ones of course; there is the one from Glasgow; two from Heidelberg; one from Erfurt, one from Tübingen and one from Basel. There is also the outrageous medieval gold crozier of Bishop Fox, who founded Corpus in Oxford. All of these are stunning art objects from 15th century master craftsmen, and it also fascinates me that many of them remain in regular use – the display panels include photographs of the various maces being carried in procession in front of dignitaries. The maces are all very delicately decorated with architectural, figurative, foliate and geometrical motifs. 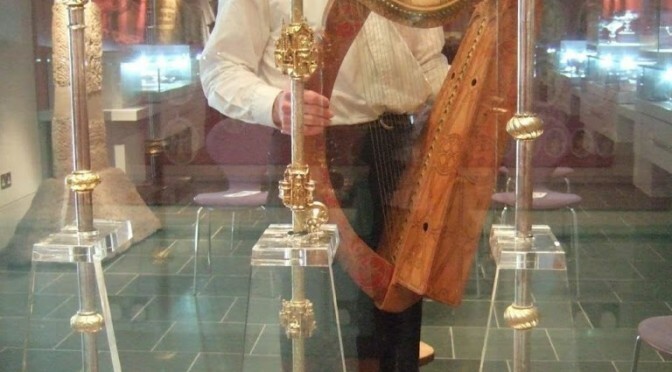 I was most interested to see comparisons with the 15th century carvings on the pillar of the Queen Mary harp – I think it will be quite an experience to take my replica in there and see it next to all these medieval artworks. My concert is on Sunday 13th October at 2pm. I’ll be playing a programme of medieval ceremonial music, mostly Scottish, and will try to connect the music in with the objects on display. The exhibition runs until the 8th December – if you have a chance to visit I would strongly recommend it!